A quick sketch of a recently cataloged species. Try and say its name out loud. It’s fun and tongue twisty. I love caterslinks. I dreamed there was one in the yard calmly sucking down nasturtiums. Careful what you dream of. Once they find a source of nasturtiums they become near impossible to get rid of. 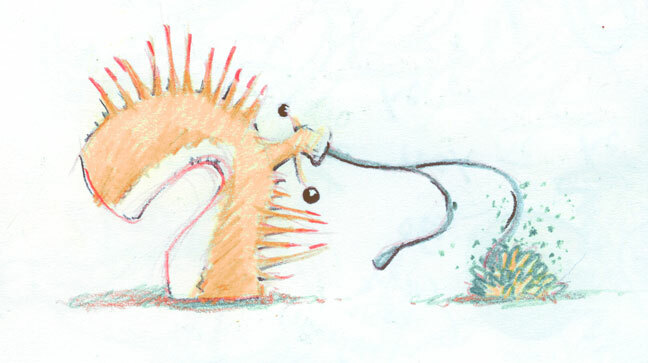 He looks a bit like a spiky whale! Love it. Thanks, Tom. Dug this out of the archives.